What’s Better – Trading Bitcoin or Investing? 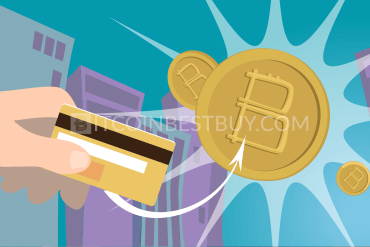 How to Trade Bitcoin with Regular Money? Is BTC Trading Legal in Your Country? What Are Bitcoin’s Trading Hours? What Is Bitcoin Trading Bot? Can You Trade Other Cryptocurrencies? 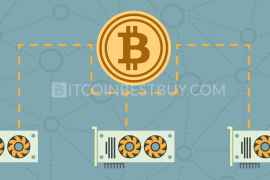 This article is devoted to one of the most important aspects of bitcoin – trading. 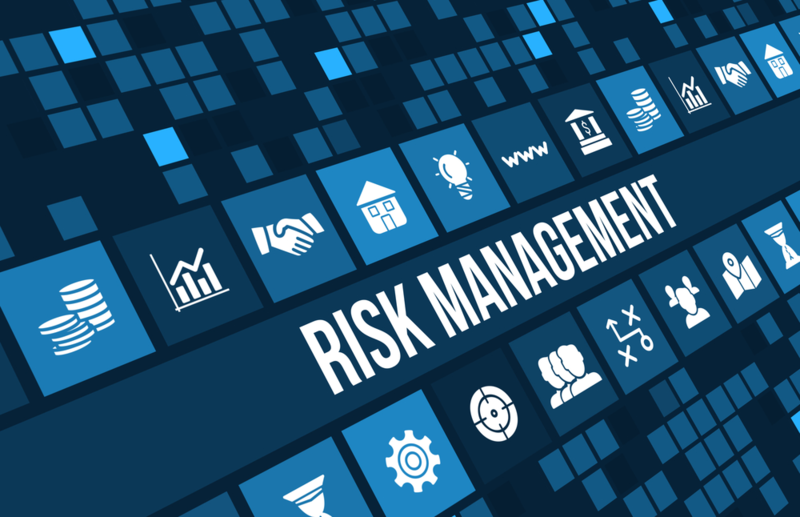 We have listed all the pros, cons, and risks that you may encounter in this field. Keep reading! 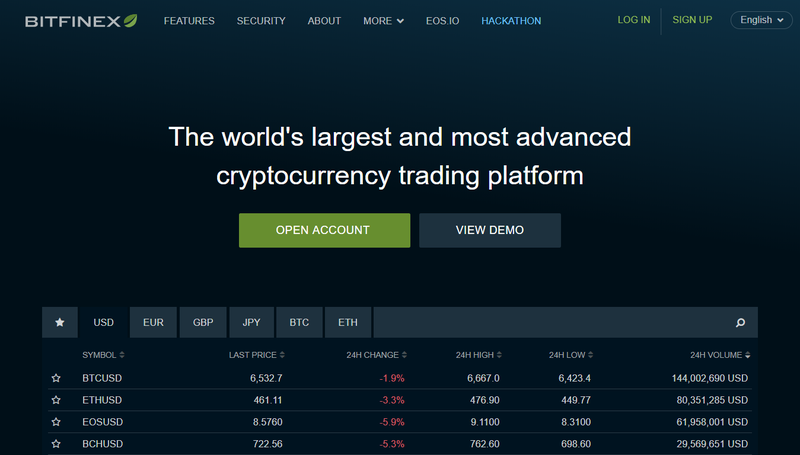 Create an account at trading center (in our guide, we use Bitfinex). At Bitfinex, once account is set, you should verify your identity by uploading your ID and proof of address (utility bill). Deposit funds using your bank account (SEPA or wire transfer). Check your balance and go to the “Trading” page. Set buy or sell order, using functions for limiting your losses. Click “Buy or Sell” and commence trade. What Are Pros of BTC Trade? 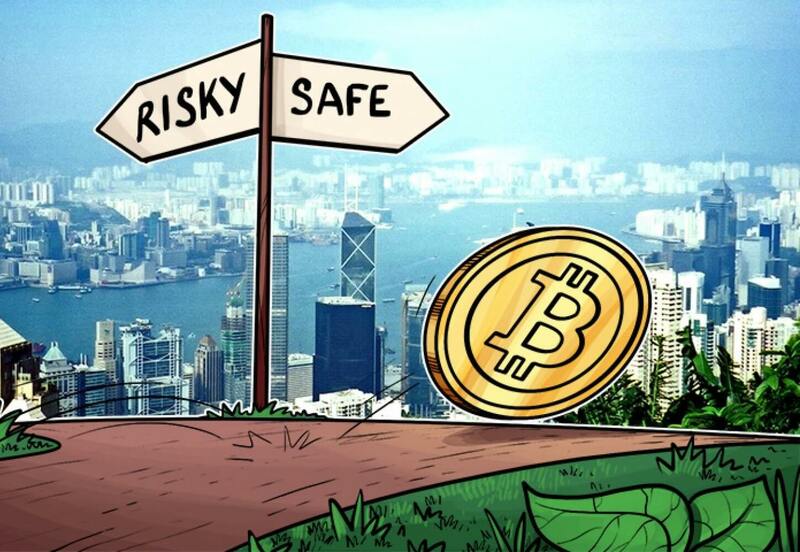 Are There Risks Trading BTC? Can I Lose Money on Platforms? Bitcoin market has experienced a huge soar in popularity over the last several years. Although the initial heat seems to be wearing down, it is still not too late to jump onboard. 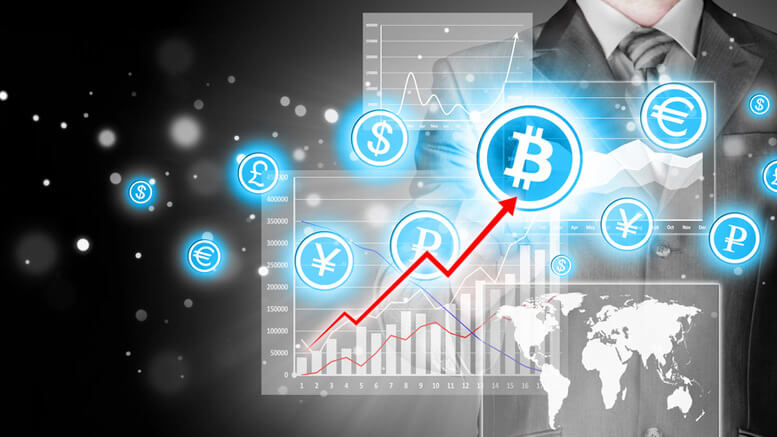 In fact, bitcoin trading still offers plenty of opportunities to earn money. If you do not know where to start with BTC trading, the answer is – this article. We will begin with basics to teach you everything there is to know on the topic. You will learn all the details on how to trade with BTC. By the end of the tutorial, you will feel like you are ready to embark on the bitcoin trading adventure. If you are ready, start reading out quick guide! If we want to make sure that we learn properly, we have to begin with the basics. Trading is a term that you have surely heard of and there is a good chance you participated in at least one trade during your life. Performing a trade involves trading one item for another. 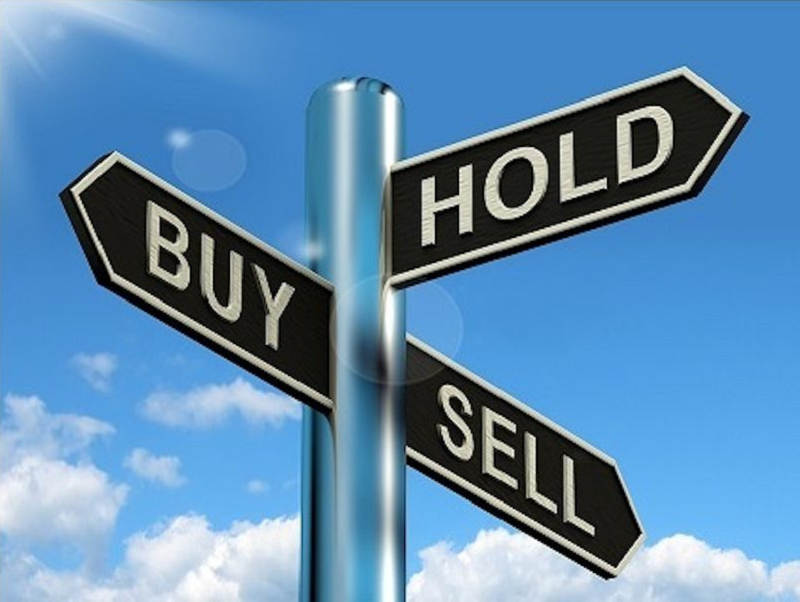 The most common way of trading today is buying – exchanging money for goods. Thanks to the internet, we can also do online trading, which is where cryptocurrencies come into play. Regardless of whether the trade occurs online or offline, the same two basic rules apply. An increase in demand will result in a price increase, but when the supply increases the price will drop. Aside from selling and buying goods, trading has become a way to make a profit. We assume that is why you are entering the world of bitcoin trade, and we cannot blame you for doing so. If you are going to learn how to trade bitcoin, you need to learn a bit something about the currency first. 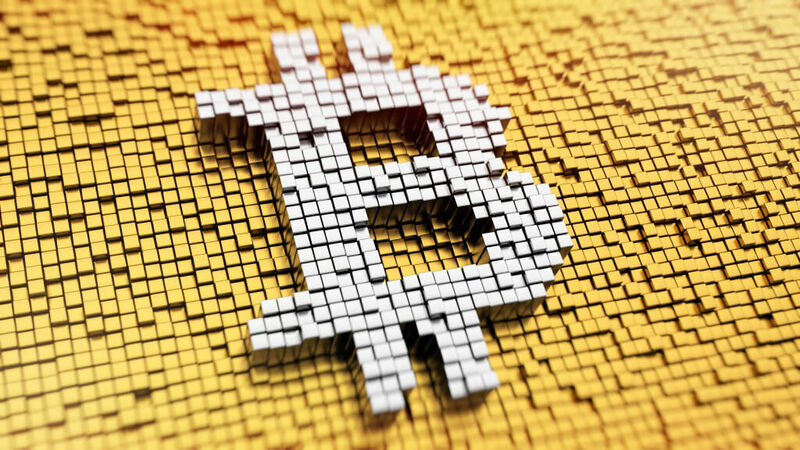 Bitcoin (BTC) is a cryptocurrency that attracted the most attention over the last several years. It utilizes cryptography to put transfer and creation of money under control, which is why it has the prefix crypto. If you are a total newbie, just think of BTC as purely electric currency that does not have a physical form. To be eligible to buy or sell BTC, you need internet access and a place to store bitcoins. The latter requires having a bitcoin address by either registering for an online wallet or downloading a BTC client. Since bitcoin is a so-called P2P currency, no third party will participate in the trade. That means you will not need banks or payment services to send or receive BTC from anyone in the world. However, you can utilize a digital exchange which serves as a marketplace for traders. 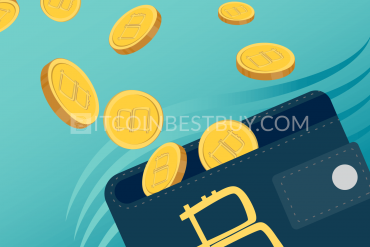 As soon as the transaction completes, you will notice bitcoins stored in your wallet. international trade is not a hassle anymore – international transactions can come with increased charges due to different currencies, and they often required a lot of hassle and paperwork. That is not the case with bitcoin which makes international trading quick, effortless, and affordable. 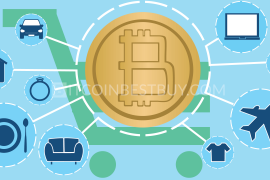 In this section, we will focus on some advantages of BTC trading when compared to traditional methods. You will read why it is important for the market to be open 24/7, and how to utilizes volatility of the currency and leveraged bitcoin trading to make a profit. Stock markets are open only during working hours and on weekdays. That just does not work for people that have daytime jobs. However, no central authority controls the BTC market, which is why it is open every day of the week throughout the entire year. That gives you plenty of time to trade whenever you see fit. Would you like to try and earn some extra money in the evenings? Perhaps you want to test your chances of making a profit in the crypto world during the weekends? You can choose when you want to trade cryptocurrencies and how much time you want to spend trading them. And the best part is that you can do this from any part of the world. You are probably thinking – how the volatility of the market can work to my advantage? 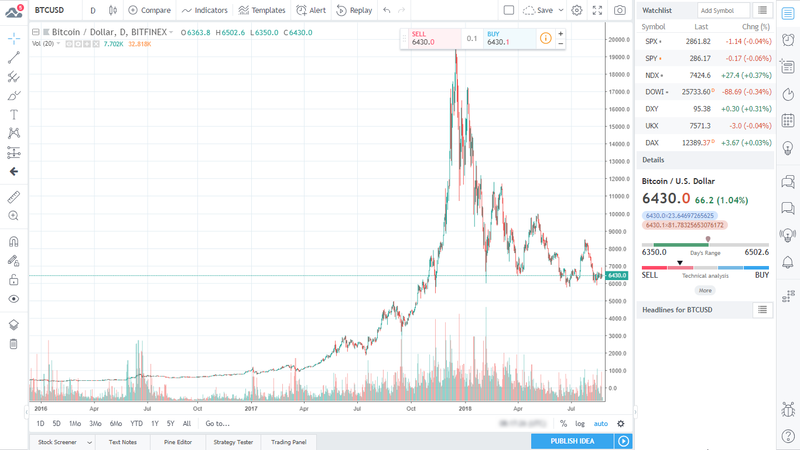 Think of the following situation – the value of bitcoin suddenly dropped and hit a market low for the last 12 months. This is a good situation to purchase some cryptocurrency. In the next couple of days or weeks, there are chances that the price will increase significantly. When you estimate that it is the right time, sell your BTC and earn money. We do not deny that volatile markets also carry bigger risks, but if you pull the right moves, your profit can be from 5-10% in just several days. This is a perfect opportunity for those who are looking for easy money instead of waiting for months to make a small profit. Thanks to the CFD (contract for difference) characteristic, traders can also make use of leveraged bitcoin trading. This method will allow you to significantly profit from price movement regardless of your trading capital. For example, if you plan to invest $100, you will get an opportunity to trade BTC value of about $1000. The only thing that you should do is to sign up for a platform that enables trading with leverage, such as Plus500. We will talk more about this service later. 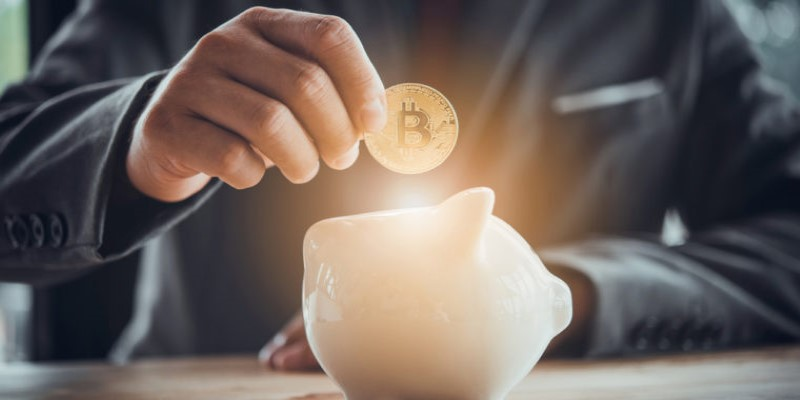 For now, it is vital to keep in mind that individual traders can earn a lot on the crypto market thanks to its volatility and continuous availability. Utilizing CFD options might be the best way to earn the most money in a short span of time. 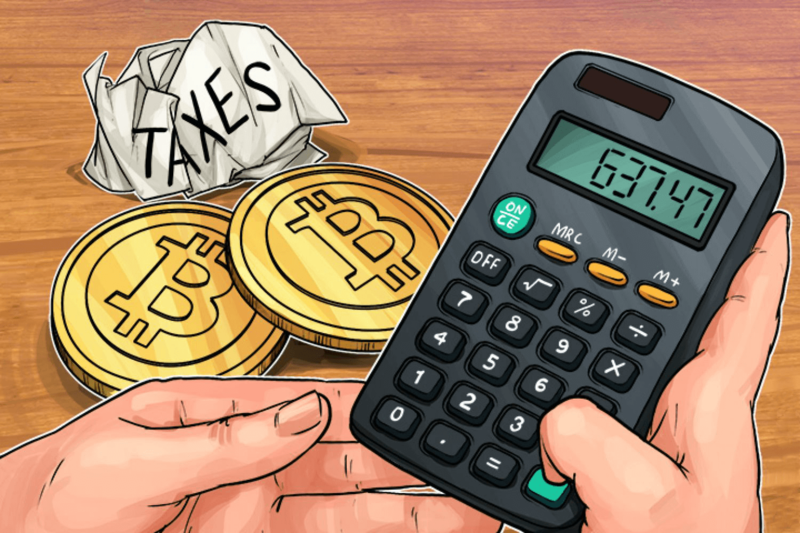 Depending on the legislation in your country, making a profit from bitcoin trading may be susceptible to taxation. However, the crucial thing to keep in mind is that all deposits and withdrawals you make to the desired digital exchange are in fiat currencies. Most trades, however, is done in BTC and other cryptocurrencies. These currencies are not taxable, which means you will not lose any amount of your profit on taxes. It is only after you convert your profit back to a fiat currency that you become susceptible to tax again. You need to consult a professional or study the law to find out about the tax rates in your country to ensure that you are compliant with the legislation. The only thing that can affect the bitcoin market is an event that occurs in crypto space. In other words, there is no risk of external news affecting BTC traders. While some events can affect bond, stock, commodity, and Forex markets simultaneously, there will no effect on the bitcoin market. The events that directly influence the crypto world are rare, but still possible. 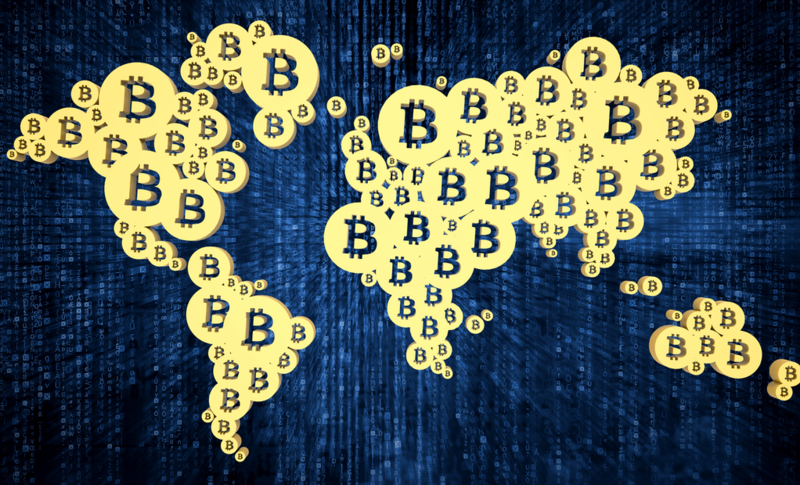 One of the biggest impacts was when China decided to make changes to the legal status of BTC. However, technical analysis and acting on price fluctuations are still more reliable in the crypto world. Another thing to keep in mind is that bitcoin is an international currency, which means that local events often cannot even affect it. you do not know enough about crypto–you read several success stories about earning money from bitcoin trading and you believe that you can do the same. Unfortunately, on every man that made a profit from the crypto market, many incurred losses. That is why you need to get yourself familiar with virtual currencies and how to trade them before you deposit your money. To give an answer to this question, we have to understand both terms. We explained trading earlier in this article, which is why we will now focus on investing. In short, unlike trading that can be a short-term adventure, investing is more of a long-term endeavor. It requires methodical planning and investing in various portfolios. More often than not, it can include other virtual currencies aside from bitcoin. The advantage of investing is that you will probably avoid getting hit by market volatility as your plan involves storing a currency for a long time. Some would argue that they prefer investing in trading as it is a safe way to make a profit. However, the advantage of trading lies in the fact that you can make a lot of money in a short time. Although it involves higher risk, if you become expert enough, you might learn to profit from trading in less than a day. If you are trading BTC with regular money, there are a couple of vital strategies to keep in mind. The first is to define your threshold and the other one is to establish a stop-loss. Keep reading to find out more about each of these moves. Before you even start your trading endeavors, you need to determine your threshold. Simply put, you need to decide how much money you want to invest in crypto transactions. Our advice is to only invest what you can afford to lose, as you never know whether you will end the day with profit. You can set a daily threshold, as well as weekly or monthly limits. Either way, you should make sure that you do not go over the threshold and risk the money that matters to you. In real life, the broker can do trading business for you, while an automated trading bot is at your service in the crypto world. Both of them are there to listen to your orders and stop-loss should be one of them. You should apply this strategy when you start losing money to preserve what is left of it. This order works for both buying and selling. You can order the bot to stop purchasing or selling BTC once its price is at a certain limit. Did you know that you do not have to own bitcoin to trade it? You can sign a contract for difference (CFD) with the exchange and start trading without even buying BTC. When signing this contract, you agree that the price movement will decide whether you earn or lose your investment. 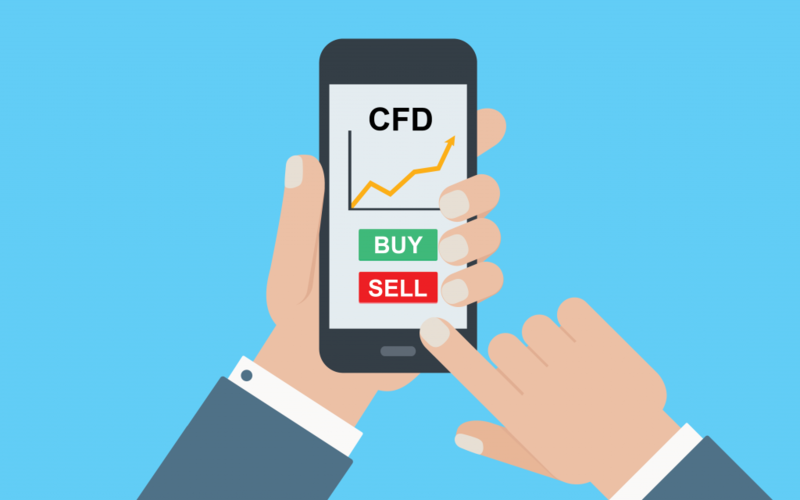 While the trader remains the owner of BTC, the CFD is a futures agreement will enable you to earn a profit as long as the price fluctuation works in your favor. Keep in mind that there is a chance the trader and the exchange might take a percentage from your earnings. The first thing to keep in mind is that you can trade with CFDs 24/7. In other words, you can open a trading position at any given moment, and you can close it any time you want. Another advantage is that you have the option to choose whether you feel the price of BTC will increase or decrease. If you guess right, you earn your share of profit. However, the biggest pro of CFD trading is that it is risk-free as long as you use the Plus500 demo trading program. This option does not involve real money and presents an excellent way to enter the crypto trading world. A significant drawback of this method is that it is not suitable for investors. CFD is essentially a loan that the exchange offered to you. It is only natural that they would expect to earn some interest on it. That means that the longer you keep a CFD position open the more interest you will pay. You can also expect a daily charge of 0.1% to maintain your position. The third drawback is a margin call, which is an option the exchange has to close your trading post in case they estimate your balance will go too much in debt. In most cases, this happens only during the unpredictable market events. Plus500 is software that you can use for CFD trading. Do not worry if you never used a similar program before. Just read our guide below to find out everything about installing and logging into the software. 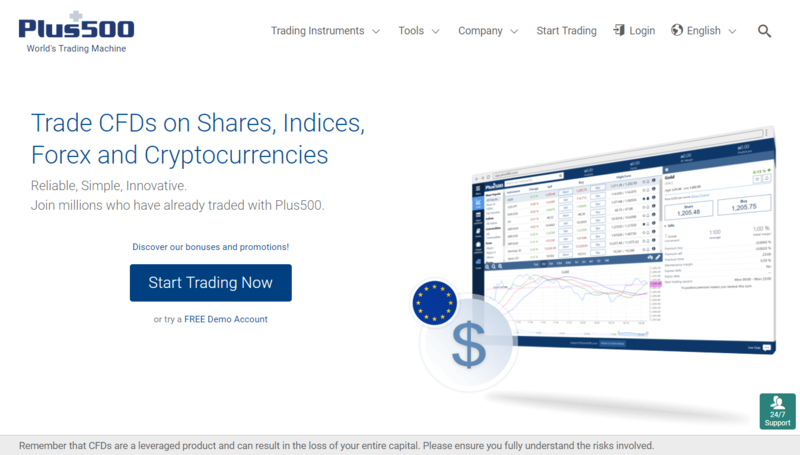 The first thing you need to do is to download the Plus500 program from their official website. Hit the button that says “Start Trading Now” and then confirm your download. The setup process is straightforward and should not take more than a minute. Next, open the software and choose to try the demo version. You need to sign up for a new account that you can use in future endeavors with this software. Alternatively, you do not have to download anything. Instead, you can use the Plus500 official website to try it in your web browser. Either way, you will need to enter your login information to access the app. After logging in, you will have access to the Plus500 demo software. Feel free to look around and test everything to get familiar with the interface. 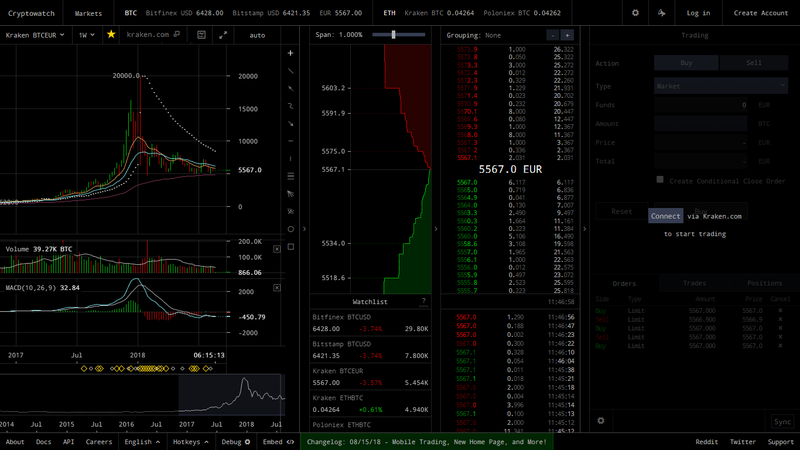 You will find CFDs in the menu on the left. The demo version does not use real money, so do not be afraid to learn by trial and error. Our advice is not to proceed with “actual” trading until you feel you are an expert in using this program. Do you feel like you know how CFD works well enough to start with real money trading? If that is the case, keep reading to discover how to check your positions and fund your account. We will also cover other vital things, such as trading risks and how to break even, as well as how to use chart BTC and candlesticks. First, you need to learn to be aware of your open and closed positions at any given moment. This is essential because if you open too many trading posts, it may become tough to manage them. That may result in losses, and we are sure you do not want to lose your money. So, make sure to keep track of your open positions by accessing your account balance. In the case of Plus500, you can use the top menu to access this page. 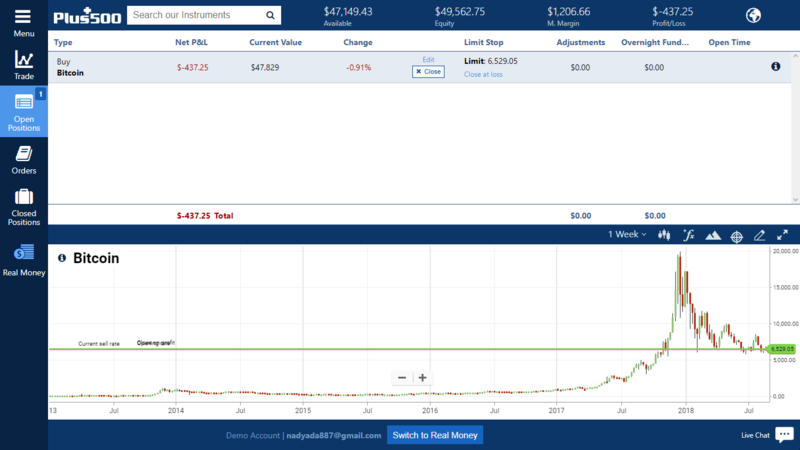 Aside from tracking your current posts, you can also check the history of your positions. That might give some insight into what you should change in your future trading moves. You should only resort to funding your trading account once you are ready to trade with real money. Until then, try to read as much as you can about beginner’s tips on crypto trading and how everything works. Funding your account involves depositing fiat currency to it. In most cases, this will be USD or EUR, but there are some platforms that accept other currencies. When it comes to Plus500, supported payment methods include debit and credit cards, as well as Skrill and PayPal. Upon choosing the desired method, enter all required details and confirm the transaction. If everything goes well, you will be ready for trading in a matter of seconds! We cannot stress enough how important it is to be careful when trading bitcoin. Although you are there for profit, even the best strategies will not guarantee it. Just like on the stock markets, BTC traders are prone to losing their investments. Not everything is negative because you can earn a lot, too. However, you will need to be both careful and quick enough to react at the right moment. A smart idea might be to review your past moves to see what you did well or wrong. Experience means a lot and can get you far in the world of crypto trading. That is why there is an increased risk involved for the beginners. If you are a newbie, we suggest starting with small sums. CFD might be one of the best options for newcomers to trade bitcoin, but there is something that you should know. Each time you open a new trading post, you will deal with the instant loss caused by the spread. This is a difference between the current BTC market rate and the rate given by the exchange you are using. Let us provide you with an example. Imagine that you opened a trading position and signed a CFD at a certain BTC price. If you close that post immediately, you will sell your bitcoin at a lower price than the one you used to buy it. That means that you will need the price to fluctuate a bit in your desired direction to break even on a CFD trade. We would like to further dwell into the challenges that are expecting you when trading BTC. The crypto market is more unpredictable than regular markets. In fact, it is sometimes impossible to predict the events that affect bitcoin price fluctuations. Imagine that you threw an egg from the top of the building toward the ground. The gravity should ensure that the egg hits the floor. However, in the crypto world, there is a chance that it takes a turn and lands into a tree. That is why we advise you to utilize demo software to learn about crypto markets. You will not find better tools to develop a successful strategy. You should not embrace ‘actual’ trading before you setup a successful tactic in the simulated market. If you want to make money, you will need to make a fiat currency deposit with the desired exchange. Although the crypto world is far safer than it used to be, you still need to be alert when choosing the platform to use. An excellent piece of advice is to check the reputation of the exchange and ensure that there are no reports linking them to frauds or hacker attacks. Another thing to ensure is that you agree with the terms of the exchange. Some platforms allow you to trade anonymously, but others may require you to verify your identity. Before you make you start doing business with the desired platform, make sure that you agree with their policies. 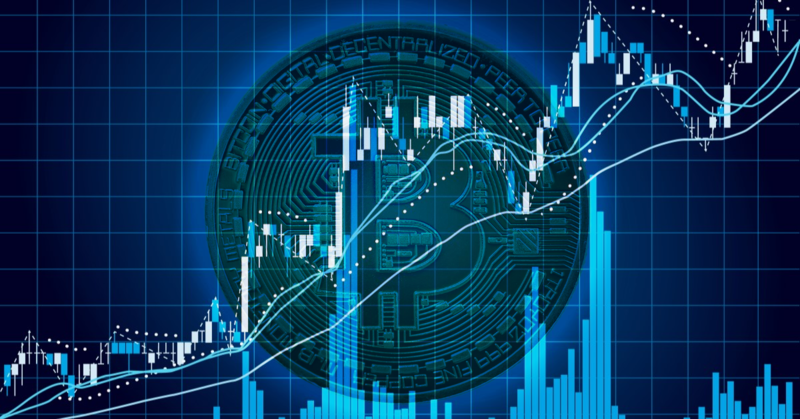 The majority of users use technical analysis as the primary tool for trying to predict the future price movement of bitcoin and other cryptocurrencies. Fortunately, the technology made it easier to keep track of the price of BTC in the past. 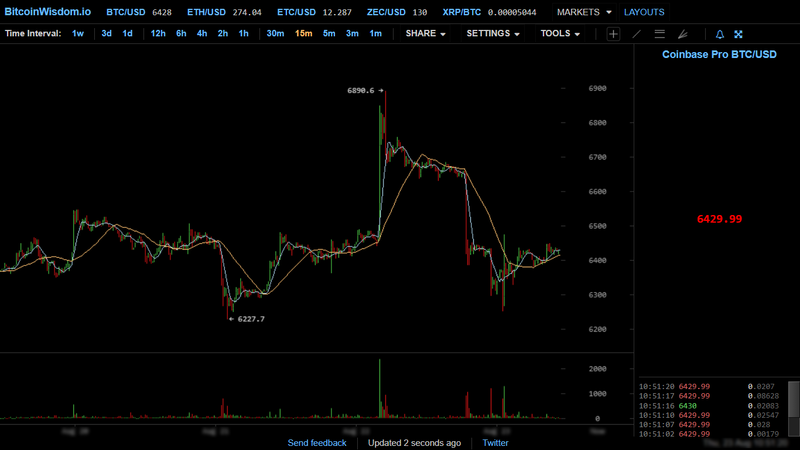 We now have various automatically generated graphs that help us monitor recent information about price fluctuations. 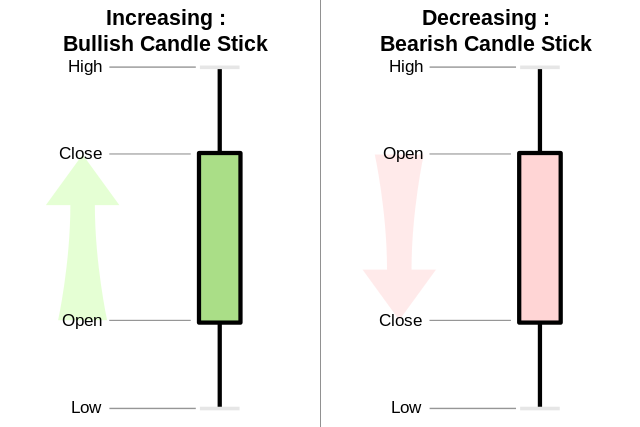 “Candlesticks” and charting apps are two of the most popular helping tools when conducting the technical analysis. It sounds incredible, but candlestick charts first appeared in Japan more than 200 years ago. Unlike them, charting apps are a recent introduction and a perk of technology that can show complex graphs. A crucial indicator of the reliability of this tool is that humans have been using it for centuries. This is a price chart that provides relevant basic info in a simple image. As you can see, the authors of these candlesticks used different colors for different movements. Green indicates an increase, while reed shows a decrease in price. As for the shapes, a hollow one represents a value that was higher at close than at its opening stage while filled bar is opposite. In each candlestick, the peak and the bottom are low and high points the analyzed currency had during the day. As for the candle, it presents the opening and closing price and the direction varies depending on positive or negative fluctuation. Thanks to modern technology, you can now analyze a complex graph at the hit of a button. Most exchanges and trading software tools included their own real-time charts. However, in some cases, they are not as complex, or they do not go back enough. For example, you might be able to see only the price fluctuations over the last two years, but you need data from the previous five. That is why you can utilize charting apps, such as TradingView or BitcoinWisdom. We will talk about them later, but allow us to tease you and reveal that a reliable charting app is completely customizable and allows you to pull all kinds of lines and patterns. 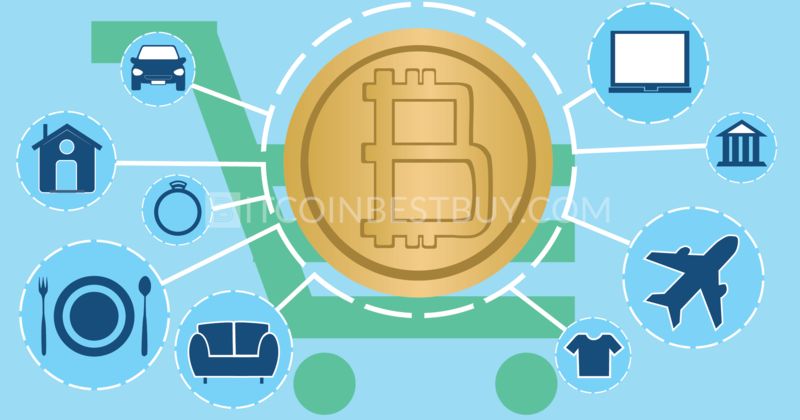 Allow us to tell you a bit about various BTC trading strategies suitable for beginners and experienced traders alike. You will learn about swing trading, buy and hold, scalping, and other methods used to make money in the crypto world. The strategies that you will read about are mostly determined by timeframes. There are strategies that only long-term investors use, while there are tactics ideal for those looking for a quick result of their trading endeavors. The thing that you need to discover is what type of the trader are you. Do you think you are patient and you can allow months to pass before making a profit? Or you are looking for some quick money and you are willing to accept high risks? The answer to your ideal strategy lies in the fact of how much time you are ready to dedicate to BTC trading. Our tutorial covers different tactics and our advice is to read about them all and find the one for you. We are starting with a strategy that is suitable for those who have a long-term vision of their trading undertakings. They sometimes refer to daily price fluctuations, but they often stick to weekly and monthly charts. Their goal is to obtain BTC at the lowest price possible and hoard it for some time in the future. If you keep in mind that there is a limited amount of bitcoin available, this strategy makes sense. “Buy and hold” traders believe that the cost of BTC will rise extremely at some point, and they are storing them for that day. They do not worry even if a market crash happens as that gives them another chance to buy bitcoin at an affordable cost. Although this long-term strategy makes sense, the crypto community has a nickname for these people – HODLers. Swing traders are looking for a moment when the price will head in a reverse direction. For example, if the cost of BTC has been going up for months, they bet on its decrease in the near future. This strategy is particularly effective during the times when the price reached its peak for the latest couple of months or years. Unlike the HODLers’ tactics, this one is suitable to use for trading with leverage. Even if the trend shows that the market is stable, the price may be fluctuating from low to high price and vice versa. Swing traders are there to bet on their desired outcome. If they notice they are making losses, they often close the trading post and wait for a better moment. 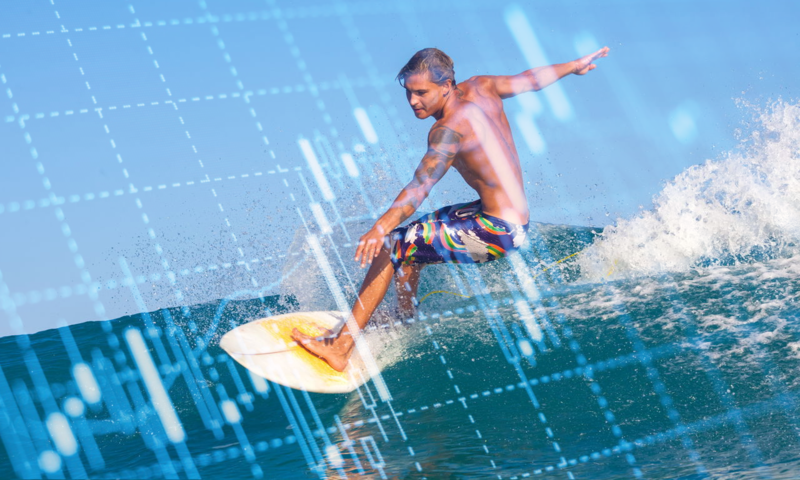 Swing traders play against the trend, but these guys like to follow it. If the price is going up, they just go with the flow and try to make money that way. The key factor here is to recognize a trend and hop on board as soon as possible. The second task is to figure out when they should leave the train. Some trend traders made huge money when the price reached a new historical peak of $1,000 in 2013. Those that joined the ride at $250 made a profit of a whopping 400%. However, most traders that go with the trend will close their trading post as soon as the price for a coin goes over their expected level. We are now moving to those who prefer short-term profit and the first group goes under the name day traders. They focus on following charts that analyze price fluctuations in the latest minutes and hours and rarely resort to analyzing a longer time than that. Day traders often spend an entire day on the trading platforms and tend to suffer from lack of sleep. For some of these people, trading BTC is a full-time job. They are focusing on swings within a single day and can profit in the times when the market is highly volatile. That makes this strategy suitable for CFD trading as long as you do not combine it with scalping. 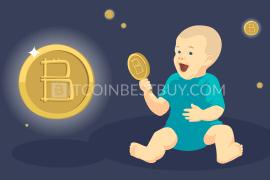 Scalpers are people who are looking for the quickest ways to profit from trading cryptocurrencies. They appreciate the high-paced action, which is why their focus is on charts that analyze market movements in the last five minutes or so. They often have to think and react quickly and their profit is not large, but they do gain it in only a couple of minutes. 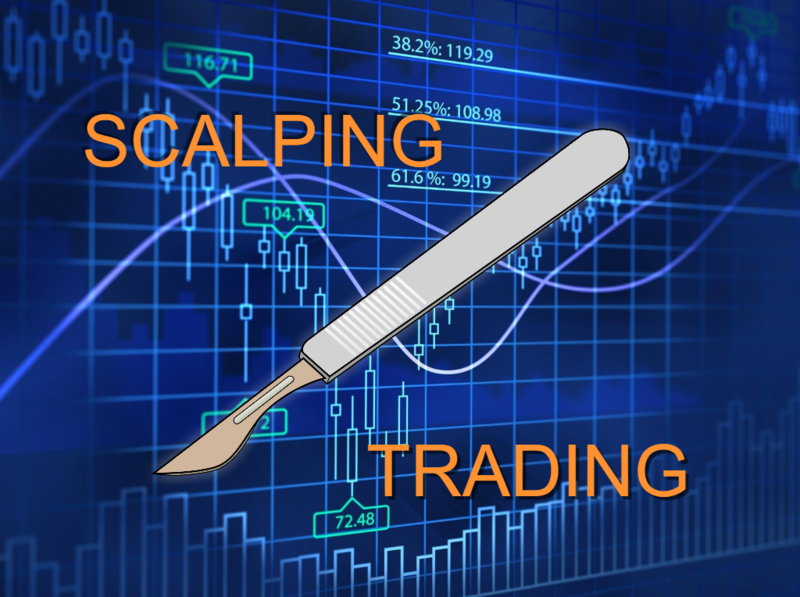 The reason why scalping is not a good strategy for CFD trading is the spread that the exchanges apply. More often than not, the returns will not be high enough to cover the spread and you will end up with loses. Regardless of which strategy you select, you need to work on understanding how the market works. That is a condition to fulfill to even have the slightest chance to make money from crypto trading. 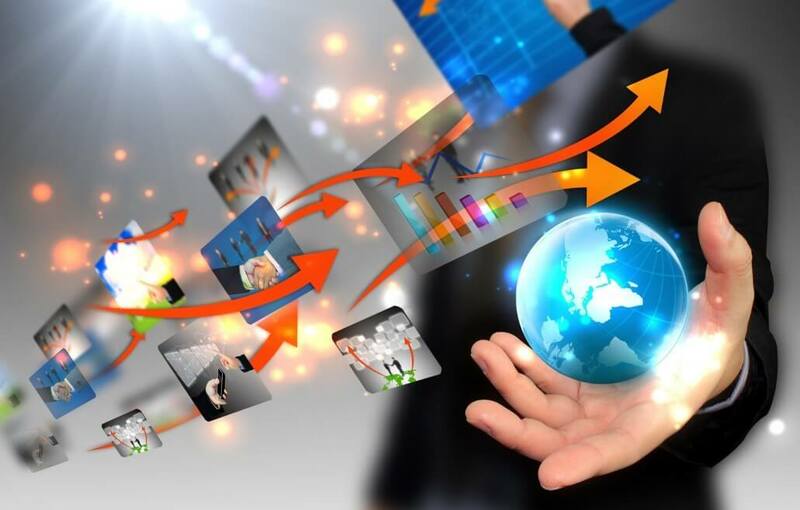 As you gain experience, you will notice that you start recognizing market trends. You will also become better at technical analysis and analyzing charts, which will increase the odds for profit. There is a reason why people rely on analyzing market data from the past. In some cases, the price movements may repeat entirely, while other times there won’t be a lot of similarities. Although the crypto market is volatile, completely unpredictable and out of line events will occur rarely. 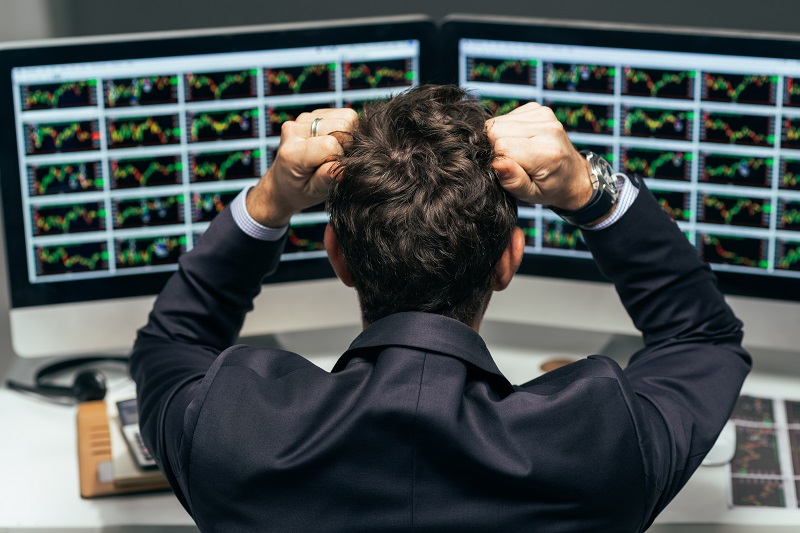 Did you know that two basic emotions that traders show in the crypto markets are fear and greed? Everyone would like to make money, but they hesitate to act because they are afraid of losing their investment. On the other hand, if you start making a profit, greed may lead to rash decisions in an effort to earn even more cash. Some traders try to analyze the behavior of other participants on the market and act accordingly. For example, during times when people crash the market due to fear, they will use the opportunity to buy. At the same time, they would sell when other people’s greediness causes the price to go through the roof. The goal is to play it differently than the rest of the pack and profit from it. Knowing what are support and resistance is critical to put your losses under control. Monitor the past market data and see where is the point when the price fluctuation tends to reverse in the opposite direction. Traders named the lower limit support and the upper resistance. You can use these points when setting the stop-loss order. If the price breaks the limit, the chances are that you are on the wrong side of the deal. You can use charting apps to monitor the points of support and resistance. 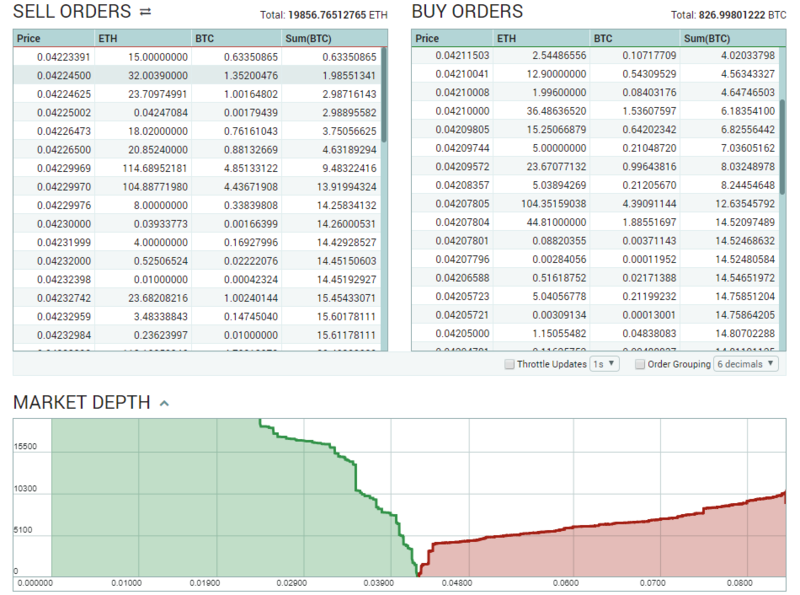 Another thing that some people consider useful is the order book on a trading site. This book lists the current quantities and prices, which may provide some insight into future market movement. The idea is to monitor the given costs to figure out which side shows more aggressiveness. That may give you an insight into how the price will move in the near future. If the buyers are matching the costs that sellers asked, the chances are you expect a price increase and vice versa. The next in line of market tools you can use for analysis are indicators. 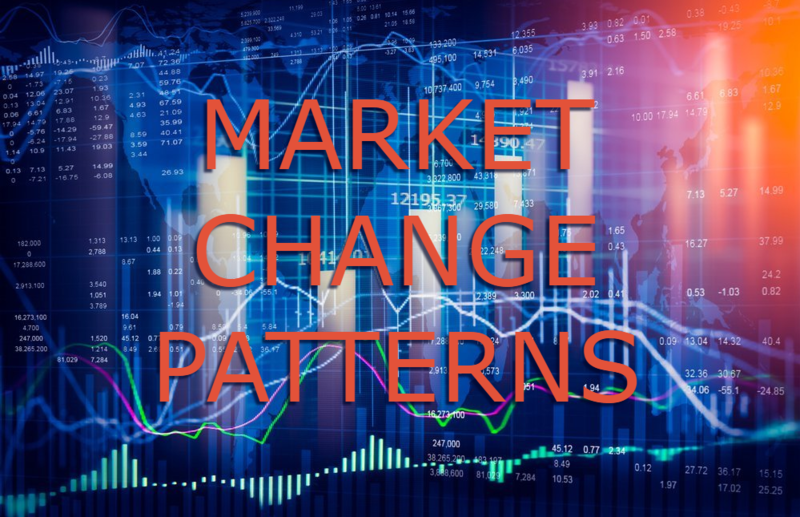 They are another way of analyzing the patterns that occurred previously to figure out the future market trend. Popular indicators include moving averages, as well as MACD, RSI, Bollinger Bands, and stochastic oscillator. You will need to dedicate some time to learn more about each of these indicators. Different traders use different indicators, which is why you should figure out which works best for your needs. People that like statistics love looking for ways that pattern form. When it comes to crypto market, people usually search for those that include high and low price limits and the points where they expect the trend to start moving in the opposite direction. You will probably need to learn your way about charts to learn to identify patterns. However, once you do that, have no doubt that it will bring a huge improvement to your trading skills. If you want to come up with a reliable strategy for trading BTC, you will need to use multiple methods. That will require some effort and time on your side, but it will get you a couple of steps closer to profit and that is your ultimate goal. We are not telling you what tools to use, but the general rule of thumb is the more the better. Oh, and always look for the same signals coming from several methods. This might be an indicator you found a trade that you can utilize to earn money. A professional term for matching results from various tools for analysis is called confluence. The experts agree that it increases chances of potential profit. Even the most experienced traders will occasionally make a mistake or two. That is why it is also critical to think about how you will deal with potential losses. If you see that your trading position is losing, the worst thing you can do is to stick to it for no apparent reason. The smart move to make is to control your losses. If you see that a trade is going sideways, close it as soon as possible. 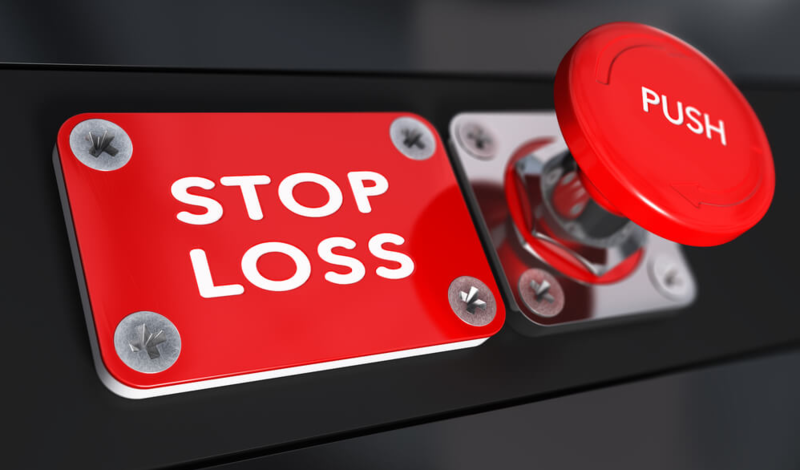 If you are afraid of your emotions not letting you close the trade, think about using the stop-loss order. As soon as you open a trading post, decide the price point at which you want to exit. Another thing to consider is that you should open trading positions only for trades that have higher potential profit than loss. Some experts recommend this ratio to be 2:1 or higher. Now, let us take a look at some tips for beginners when it comes to managing your trading capital. You might think you are ready for real money trading, but make sure to start slow. The experienced traders recommend that one opening position should not take more than 1% of your entire planned market investment. As you become more confident in your moves, you can increase this limit. There are some trades that have potential profits that are worth risking more cash. However, experts recommend not going over 5% of your capital. Even if you end up losing a portion of your investment, you should have enough to try again. There is no right answer to this question. If you want to take bitcoin trading seriously, you should know that it will take a lot of your time. You will need to take a significant part of your schedule and invest in informing yourself on the subject. That includes educating yourself on how the market works and how to use different tools for analysis. Even when you think you are ready to start trading, you need to make your peace that you will lose money. There is a good chance that you will not be gaining profits from day one. Instead, you will have to deal with losses until you gain enough experience. 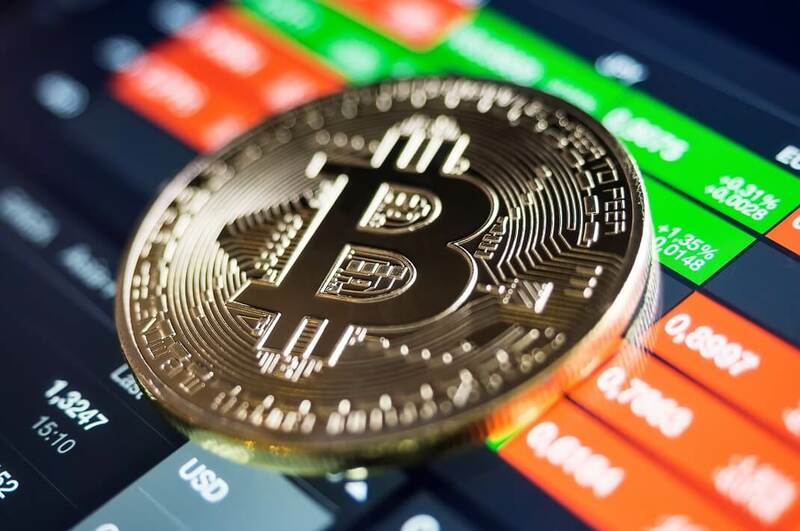 At the end of the day, BTC trading can be a way to earn money on the short-term and long-term basis. The only thing to take into account is that it will require plenty of effort and dedication. Trading charts are your number one source for assessing past market data. 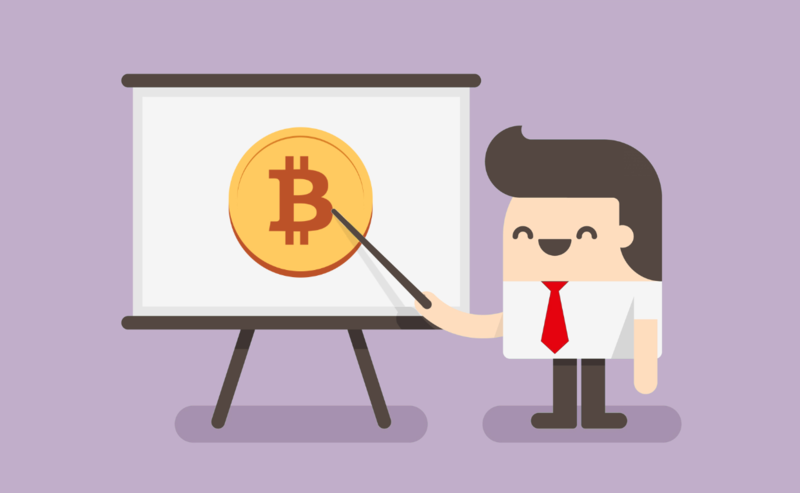 We singled out four most popular tools, including TradingView, Cryptowatch, Bitcoincharts, and BitcoinWisdom. There are also other open source options, but we found that these are most reliable. There is no TOP 10 list for trading charts because TradingView has been dominating the market ever since its launch in 2011. However, it only included cryptocurrencies recently and that turned out to be a smart move. This is the tool of choice of many experienced traders, but it is also suitable for newbies. The beauty of this charting site is that it can be as simple or complex as you want. You can utilize Relative Strength Index, Bollinger Bands, and other technical indicators to look for signals. Another way to get valuable info is to join the social network of TradingView. 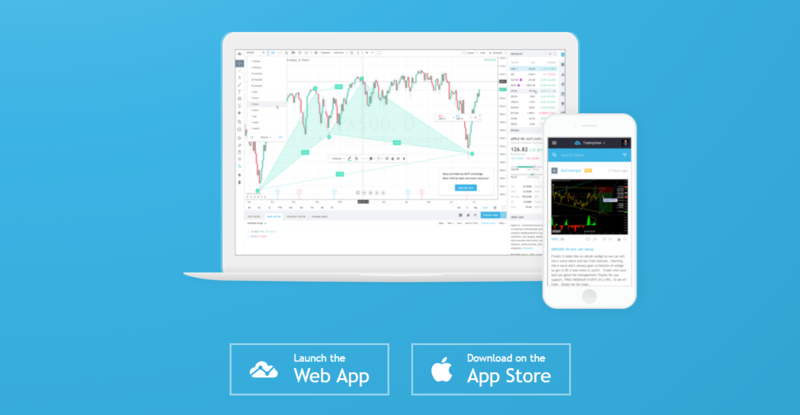 From day one, users share signals and ideas for trading with fellow traders. Although it has not been around as long as TradingView, Cryptowatch managed to gain a loyal fan base of followers. It started the work in 2014 with the goal of providing easily customizable charts for crypto market analysis. The site offers candlestick charts that observe intervals of up to seven days and makes use of MACD and other technical indicators. Cryptowatch offers plenty of options for adjusting the look of your chart. That includes zooming in and out, as well as choosing between to different themes. You can pick from 20 available exchanges and more than a hundred digital currencies. Those that know their way around charts and observing them will appreciate the complexity of options that this tool offers. 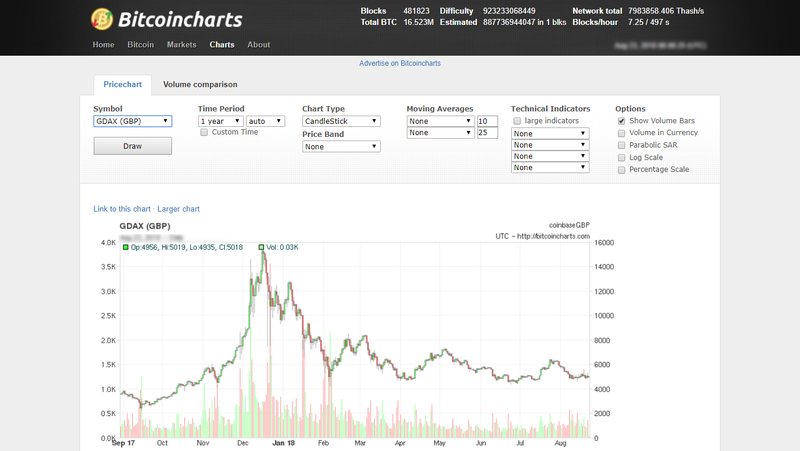 Unlike previous two tools, Bitcoincharts focuses on a single most important digital currency – BTC. It offers several different chart types, including candlestick, median price, closing price, typical price, and weighted close. It is interesting to mention that you adjust all options by using drop-down menus. We assume that this simplified approach is what makes this site suitable for beginners. Bitcoincharts includes choosing the desired fiat currency to compare with BTC and the time period you want to observe. Lovers of the past market data will appreciate that there are more than eight years of data in the archive. The technical indicators available include Bollinger Bands, RSI, MACD, and over dozens of other available options. At first glance, it becomes obvious that BitcoinWisdom cannot compare to other options in terms of covered trading pairs. They focus on approximately ten exchanges, but they do cover BTC in the largest exchange markets in the crypto world. After choosing the desired trading pair, the platform will take you to a page with detailed charts. You can choose between four main indicators, including MA, EMA, SAR, and BBANDS. As for types of charts, you can observe a CandleStick, Line, Line-o, OHLC, and CandleStickHLC. The time interval can spread for up to a week, which means that this tool is more oriented towards short-term traders. The site allows you to draw various lines to track the desired points easily. There are two mistakes that can cost you a lot of money when trading. You might not even notice them, but they are constantly bringing you losses. We will mention those two mistakes in this section and focus on giving you some other trading tips. A digital exchange is a platform that serves the crypto community for the simple trading of their currencies. However, these websites are not available for free, and they work for a commission. In most cases, they earn money by utilizing a spread. This is why you lost some money as soon as you used a digital exchange. If you want to break even and have a chance for profit, you need the price to fluctuate in your desired direction. However, you can minimize these losses if you analyze which exchange offers the best rate for bitcoin. You should also check out other fees and ensure that they seem fair, too. Keep in mind that you should avoid trading altcoins for USD. Allow us to use Ethereum as an example to explain why that way of trading is a bad idea. Imagine that you are monitoring three markets – ETH-USD, BTC-ETH, and BTC-USD. If you compare ETH with USD, you notice that it is going up, but when you put it against BTC, it is going down. That is an excellent indicator that BTC-USD in comparison to ETH-USD. The similar thing can happen if ETH is heading up compared to USD, but BTC is heading down when compared to USD. Either way, this would mean that you should avoid trading altcoins with fiat currencies. Instead, you should stick to trading them with bitcoin. If this sounds too complicated, perhaps it is best to avoid altcoins altogether. you need to analyze the market – it is true that you can always rely on luck. However, even luck could use a little push at some points. Why not increase the odds of getting lucky by analyzing the market with technical analysis and other tools? try to get read of fear and greed – you want to be as rational as possible. This will require some practice as newbies are particularly prone to emotions of greediness and fear. Try to analyze your previous trading endeavors and see what mistakes you made because of these feelings. That will give you an insight into what to avoid in the future. 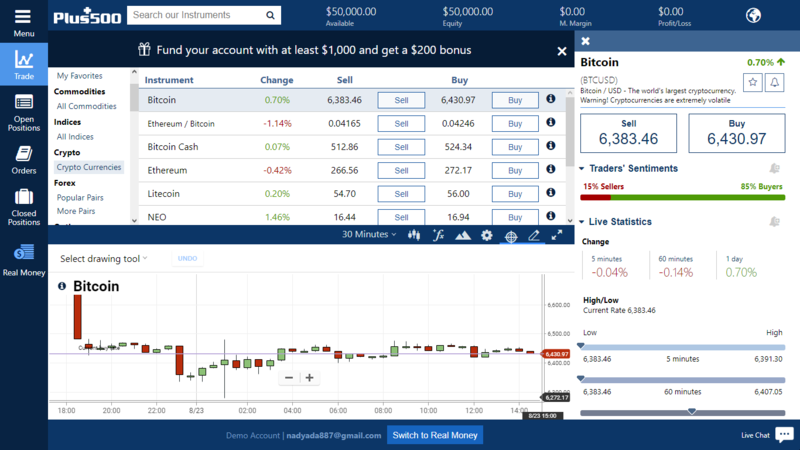 If you want to trade BTC, you will need a reliable trading platform. You do not want your digital exchange to suddenly close like MtGox several years ago. 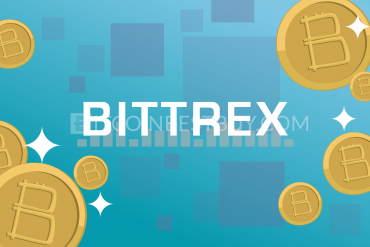 We will now cover some of the most popular platforms, such as Poloniex, Kraken broker, Bitfinex, Gemini exchange, Bitstamp, and GDAX (Coinbase Pro). 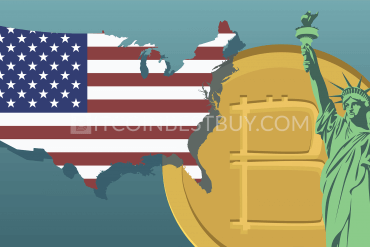 The establishment of Poloniex occurred in 2014 in Delaware, USA. The headquarters of the company are in the same place today. In the meantime, it profiled as one of the most reliable digital exchanges in the entire world. 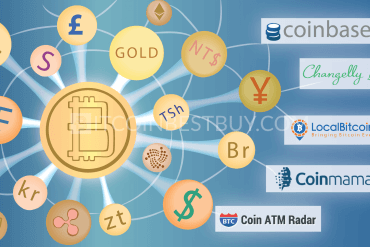 It supports almost 100 different currencies, including bitcoin, Dogecoin, Litecoin, Ethereum, and others. Users from the Philippines to Nigeria and Singapore and other parts of the world access this platform without any trouble. Although not like Zebpay, it is also extremely popular in India, especially when it comes to margin trading. 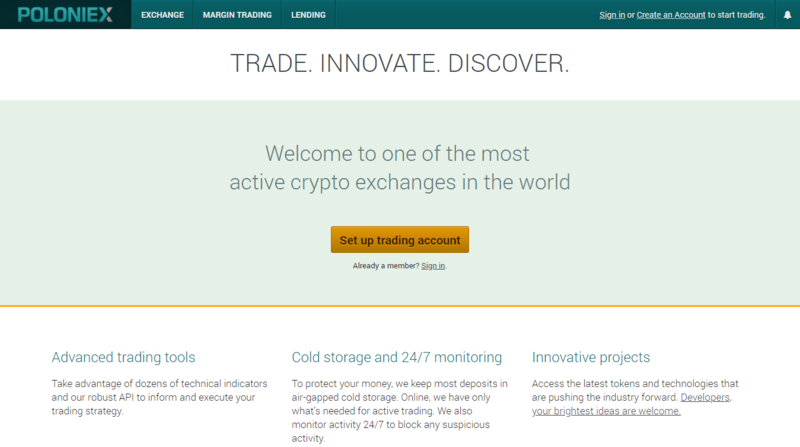 The interface of Poloniex is clear and simple. However, the number of charts and information may be confusing for a beginner. The fees for takers go from 0.1% to 0.2%, while the makers can pay up to 0.1%, but they can also trade without fees depending on sums. There is no deposit limit, while the restriction on withdrawals is $25.000. You can increase this, but you need to get in contact with the customer support and be patient. The fact that their headquarters are in San Francisco means that Kraken broker is legal in USA. However, the exchange is also used in other parts of the world, such as the UK, Pakistan, and Australia. The platform takes security seriously and requires account verification. If you want to stick to more than a dozen cryptocurrencies Kraken supports, you can only provide basic personal information. However, to be able to deposit and withdraw fiat currencies, you will need to pass an identification check. Even after that, you cannot deposit or withdraw more than $25,000 daily for security reasons. If you are a maker, fees on Kraken will not go over 0.16%. However, if you are a taker, the lowest fee you can get is 0.1%, but the highest goes up to 0.26%. 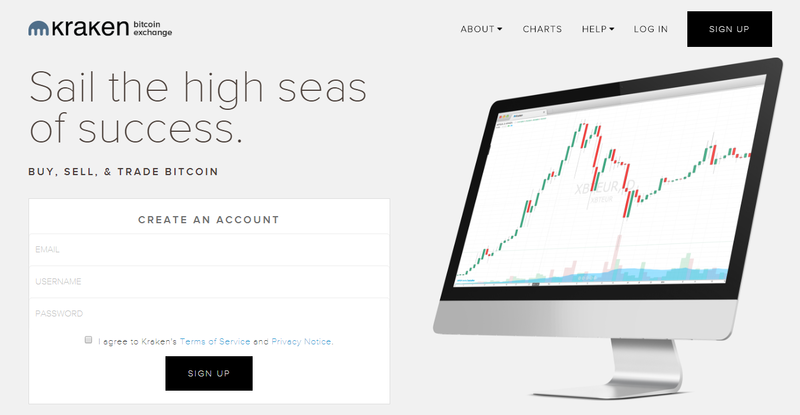 Although Kraken might not be as popular as Bittrex, it is a reputable platform that has been around since 2013. Raphael Nicolle chose Hong Kong as a base when he started Bitfinex in 2012. Although the company focused on the US market for a long time, it stopped servicing their citizens in 2017. The exchange is still available in Canada, the UAE, and other parts of the world. Throughout history, it suffered two hack attacks, but it remained popular among the users. One of the reasons for that is a simple interface and suitability for beginners. The only downside is that you will need to pass identity verification to be able to trade. Bitfinex offers a vast choice of services, including lending market and margin trading. Once you register, there is no limit on deposit and withdrawals. However, the platform only supports several digital and fiat currencies. The trading fees vary depending on if you are a maker or taker and can go up to 0.2%. Founders of Gemini cannot hope to reach the popularity of Coinbase, but they battled for their portion of the market. Gemini was established in 2015 in New York and has a big enough pool of resources to offer low fees. They only have a trading cost of up to 0.25%, but you can deposit or withdraw without any charges. However, the limit is $500 per day for bank transfers unless you contact their customer support. You will need to register for a personal account to start trading. Gemini only supports three digital currencies, including bitcoin, Ethereum, and Zcash. That means you can forget about Doge and other coins. The advantage that they offer is the security of both your funds and personal information. They have to comply with New York regulations, and they store digital assets offline. 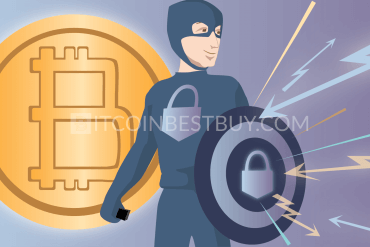 That way they protect your funds from possible hacker attacks, which have not been successfully launched on this network yet. This Luxembourg-based trading platform has been present for seven years already. 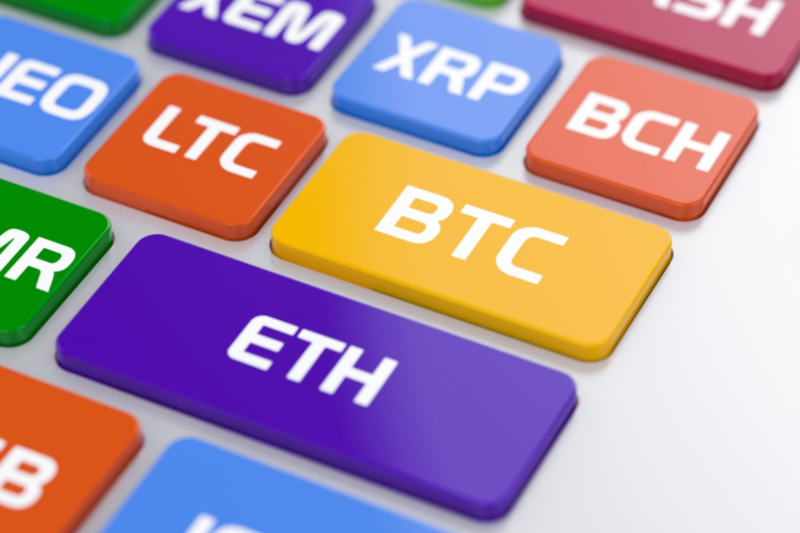 During that time, it has become a favorite for those who are looking to trade for Ripple, Litecoin, Ethereum, and bitcoin. These are the only four crypto coins it supports, but it is more than enough for an enjoyable trading experience. The interface is simple for beginners and you can even use a mobile app to access the platform. 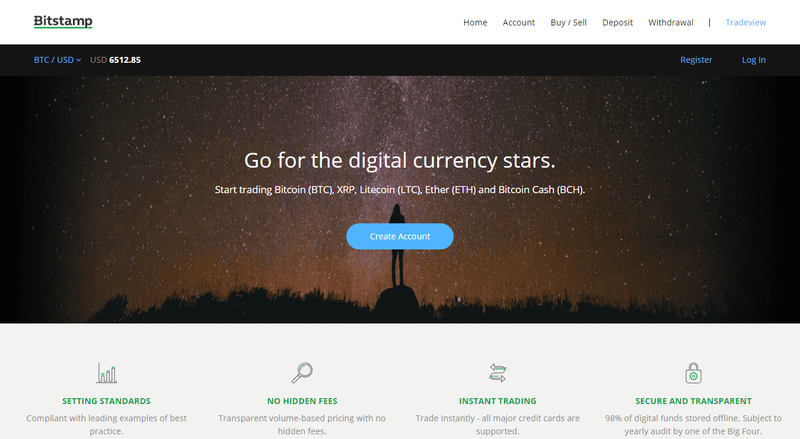 If you plan to use Bitstamp, know one thing about this cryptocurrency exchange. You should avoid making a deposit with a credit card if that is in any way possible! The high fees go from 2-5%, which is unreasonably high. Fortunately, you can utilize a SEPA transfer to safely deposit your cash free of charge, but you need to be an EU-resident for that. Trading fees vary from 0.1 to 0.25% depending on the monthly volume of your trades. Coinbase established this platform in 2016 with the hope to expand the business to altcoins and enable you to trade for Litecoin and Ethereum. The biggest advantage of this digital exchange is that it stimulates the makers by enabling them trading without fees. When it comes to takers, the costs are standard and vary from 0.1% to 0.25%. You can deposit and withdraw fiat currencies without any charges. GDAX (Coinbase Pro) was recently rebranded again and its new name is Coinbase Pro. However, everything except the look remained the same. The interface might take some getting used to if you are a newcomer. However, you will soon realize that you get all the data you need on a single page. You just have to find your way around it to the information that you need. The identification process is almost automatic, but it may vary from one country to another. Most of the countries in the world allow BTC trading and consider it legal. There are some challenging regulations in countries like the United States, Canada, or United Kingdom. This is a result of government’s effort to regulate the crypto market. 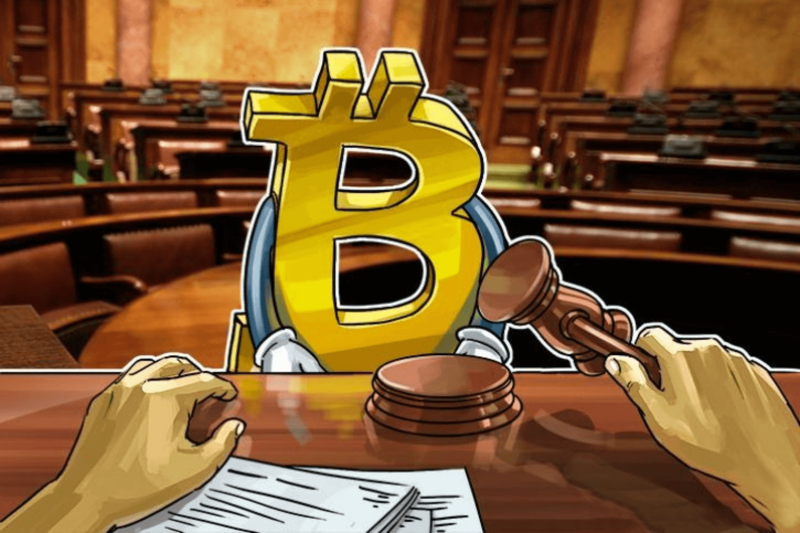 There are, however, several countries where the authorities banned BTC trading. The list is not long and includes Iceland, Bolivia, Nepal, Ecuador, Lebanon, Indonesia, and Bangladesh. However, it is interesting to mention that there is no official document confirming the ban on mining, allowing the supply to the market to flow without major restrictions. Bitcoin is a currency that you can trade anytime you want. The crypto market is open 24/7 and that is a crucial advantage it has over Forex, stocks, and other markets. That means that there are no restrictions regarding trading hours. You can trade bitcoin any time you want from (almost) anywhere you want. The only thing you need is an active internet connection. Once you have chosen the desired digital exchange, you register an account. In no time, you will be eligible to start trading and maybe even make money out of it. 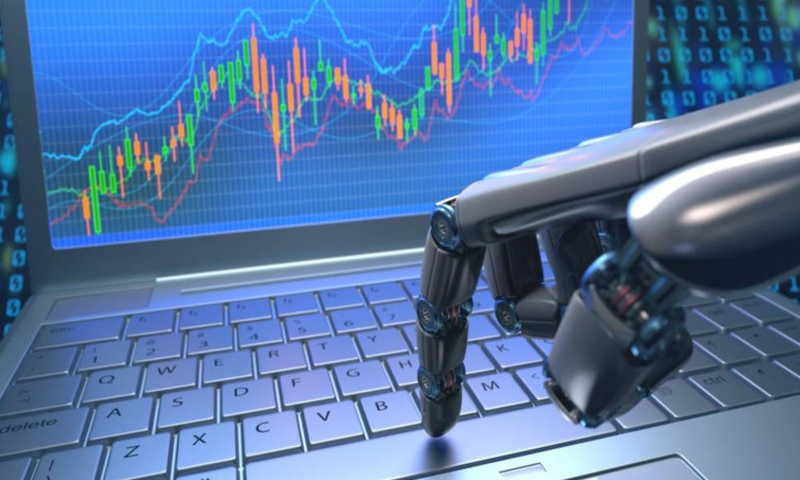 A bitcoin trading bot is one of the automated tools that can help you earn a profit in the crypto market. Crypto bot is software that can interact with crypto exchanges in your name and for your benefit. You are the one that programs their actions, and they only act in accordance to what you ordered them. The biggest benefit of using this tool is that it can work 24/7 to potentially increase your revenue. In other words, you can sleep or perform other activities and your bot will monitor the crypto market for you. If you programmed it right, it will react at the right moment and boost your profit. The most popular bots include Gekko, Gimmer, and Haasonline. That depends on the platform you select. Some digital exchanges and sites only support bitcoin, but you can find others that enable trading with other cryptocurrencies. The list of the available crypto coins varies from one website to another. Some of them support only several coins, such as Coinbase, while other like Poloniex focus on including as many currencies they can. Our advice to you is to stick to trading reputable cryptocurrencies. If a coin is relatively new or does not have plenty of trading volume, you are facing high risks of losing your investment. Mobile apps enable you to take BTC trading with you whenever you leave your home. Whether you cannot get enough of trading or you need to urgently make a move, these applications will help you to trade on the go. The good news is that these apps are free and you can download them from the app store. However, keep in mind that not many digital exchanges have their apps and others do not have versions that support both iOS and Android. The alternative might be to access the exchange’s website by using your mobile phone. However, even the most mobile-friendly sites cannot match apps in terms of simple interface and ease of moving around. 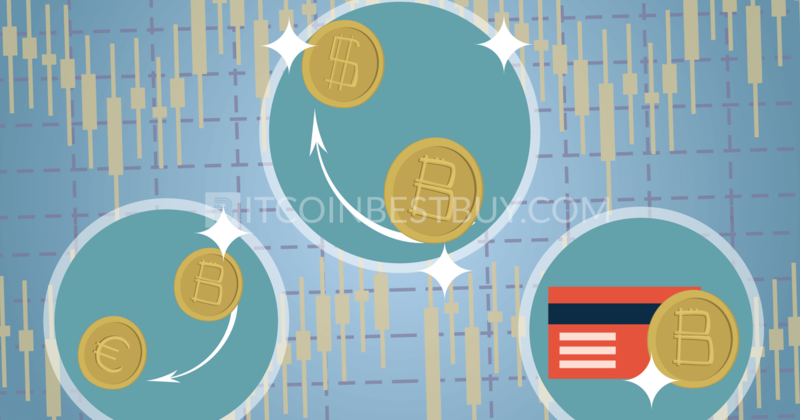 If this guide about bitcoin trade omitted vital information, please do contact us at BitcoinBestBuy to get answers right away.